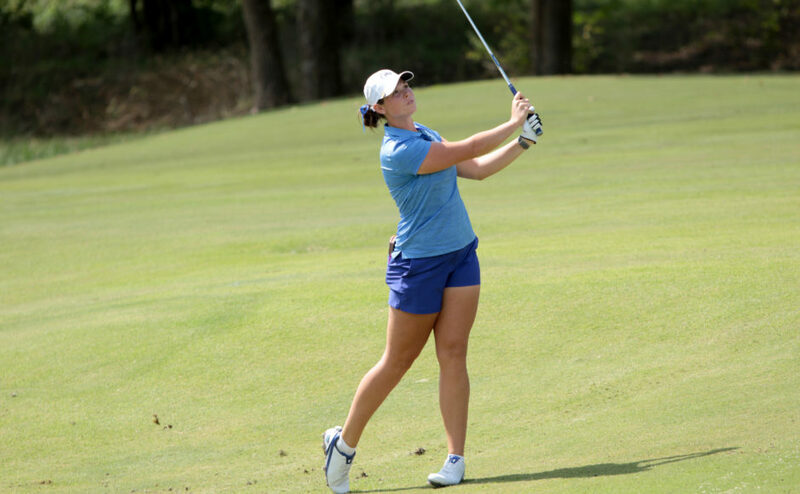 The Middle Tennessee women’s golf team finished in the fifth spot at the Conference USA Championship in Fort Myers, Florida this week. The Raiders played in their own division that included UTSA, UTEP, Old Dominion, North Texas, Southern Mississippi, WKU, FIU, Charlotte, Marshall, Florida Atlantic and UAB. Freshmen Caroline Caudill and Sophie Burks, senior Cynthia Bounleutay, junior Hanley Long and redshirt junior Jenna Burris all participated in the championship. The team had a hot start in the first day, finishing with a 11-over par (299) to finish in second place. Burris and Long led the way with a 1-under (71) and even par (72), respectively, putting them both in the top four in the field. The Raiders were the third seed, sitting only five strokes back the second seed UTSA and two strokes back of the first seed and defending champion Old Dominion. 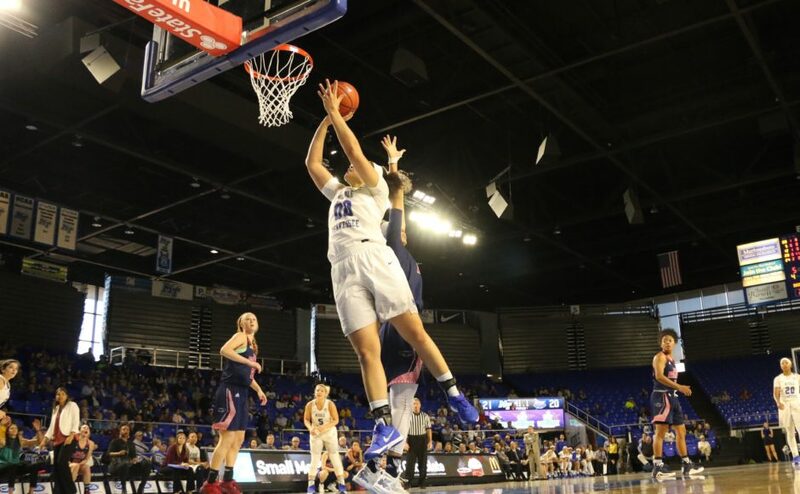 The Blue Raiders didn’t have their most favorable day of the tournament on day two, as they slipped two spots to fourth place after carding an 11-over (299). 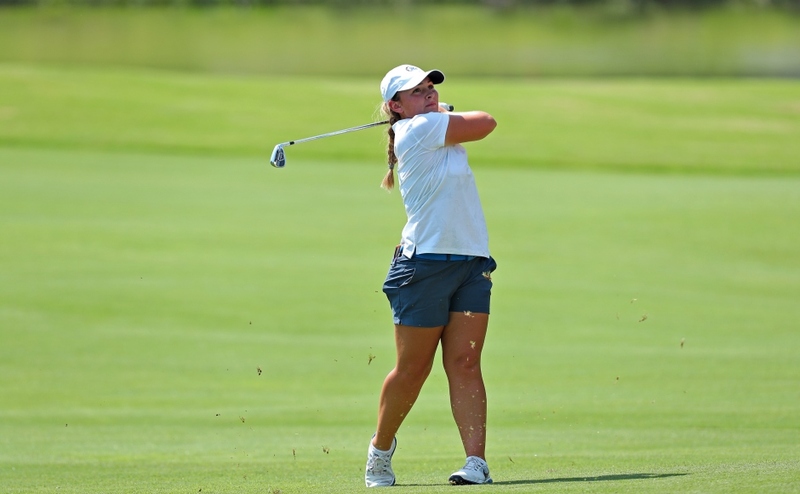 Despite slipping two spots, Burks finished her day strong with three birdies in the final five holes, finishing with a 2-over (74) on the day. Long sat two strokes off the lead in a tie for third with only 18 holes left to play after finishing with a 1-over par, with Burris joining her in the top 10. She tied for sixth at 3-over (72-75-147). Long was also tied for second in a field of 60 in par-5 scoring (2-under, 4.75), and also tied for 10th with six birdies. The Raiders closed the Conference USA Championship on Wednesday with a round of 13-over (301), finishing in fifth place. Burris and Long carried Middle throughout the week and finished in the top 10 out of 60 golfers. This was each golfer’s second top 10 finish in the three trips to the tournament. Long fired a even par (72) on the final day to put her in third place with a 1-over (217). Burks carded a 13-over (229) in her first trip to the tournament to finish in a tie for 27th. Bounleutay carded a 17-over (233), and Caudill with a 18-over (234). The Lady Raiders will begin their summer workouts and are looking forward to their first tournament in August. The Raiders will have five returners from this year’s team, including four of the five that competed in this championship. Follow Sports Reporter Madison Zygadlo (@madszygadlo) on Twitter for more coverage.